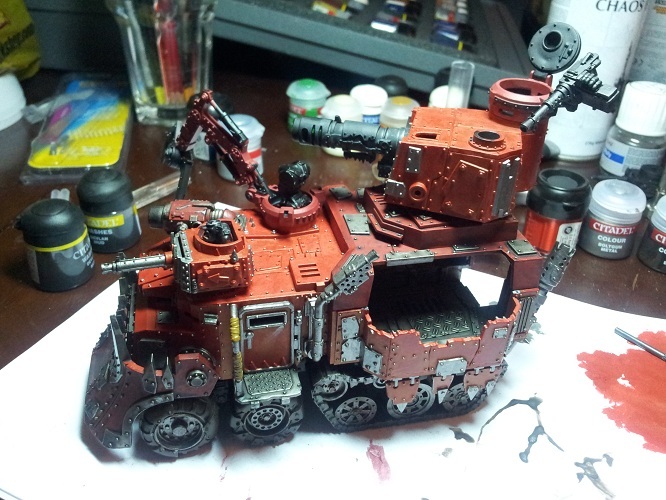 I’ve always wanted a Battlewagon for my Space Orks. They are just amazing vehicles and a sight to behold… One word… Deffrolla! So imagine my surprise when all of a sudden I have 3! In November last year I went ahead and bought some Battlewagons with the intention of painting them up, and unleashing them into my Ork force. 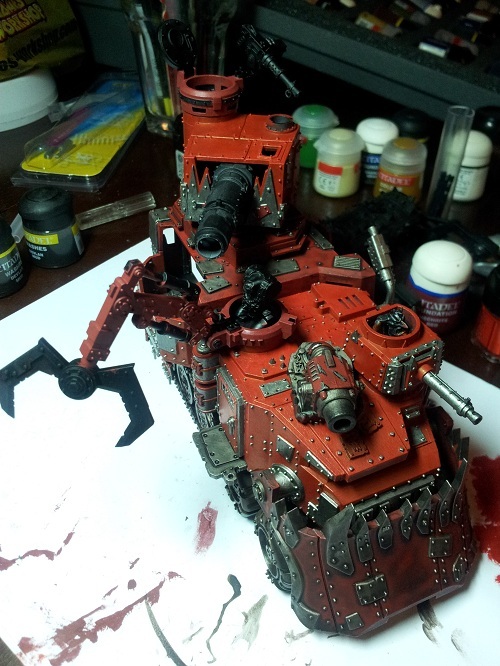 I thought I would just upload some unfinished WIP pics to show how far along I’ve gotten. At the moment, different parts of the model are in varying states of completeness but I’ve assembled it all for the purpose of these pictures. More to come of the finished article, with accessories! I’m looking forward to having 3 (probably all red) Battlewagons with all the trimmings painted and ready. In the end I hope to make a tutorial when I paint one of the other Battlewagons.